Morgan Stanley sent lithium stocks tumbling on Monday after it forecast a surplus in the market in 2022 of 190,000 tonnes, resulting in predicted prices nearly halving to $7,699 a tonne. However, some industry officials took issue with the outlook. “I am firmly of the view that everyone, including Morgan Stanley, is grossly underestimating how quickly the market is moving on the demand side,” Ken Brinsden, chief executive of Australian lithium miner Pilbara Minerals, said at a mining conference in Florida. Pilbara recently inked supply agreements with Chinese and Korean battery- and automakers, giving them insight into Asian demand. China has set goals for electric and plug-in hybrid cars to make up at least a fifth of its auto sales by 2025, with new quotas due to take effect in 2019. It also plans to shift away from petrol-engine cars. The Morgan Stanley report hit high-flying lithium shares, including the world’s two biggest producers, U.S.-based Albemarle Corp and Chile’s SQM, down as much as 8 percent. Prices for lithium have more than doubled in the past two years on forecasts for massive demand from the electric vehicle industry, spurring work on a flurry of new mines or expansion plans for existing ones. Forecasts of oversupply also fail to take into account that few lithium processors have the capacity and ability to produce the very high-grade lithium compounds that batteries need, said analyst Andrew Miller at Benchmark Mineral Intelligence, a UK-based battery metals consultancy. He said he does not see a glut occurring in the next few years although the market could see small surpluses. 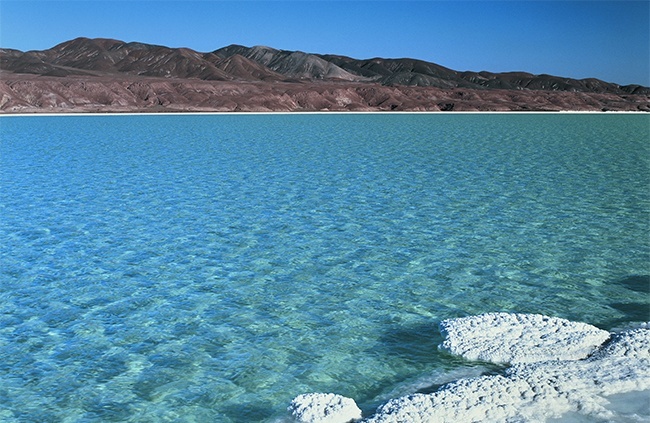 Lithium is mostly mined from hard rock deposits in Australia and brine pools in South America. Most of the processing of the hard rock material into battery chemicals is done in plants in China. The lithium sector’s history of delayed mine ramp ups and processing problems should also offer a lesson to glut forecasters, said Paul Graves, chief financial officer of FMC Corp, the world’s fourth-biggest lithium producer. “This is an industry that has repeatedly failed to bring on its supply in the way it predicted. It is always late and it is always more expensive to operate,” he told Reuters at the conference. Orocobre’s brine project in Argentina was slow to ramp up and Galaxy Resources eventually sold a processing plant after it continued to operate below capacity. For further information about Chilean mining industry, see this article.